Posted on August 22, 2012 by Julia	by Julia. Take one very creative and patient lady and millions of little pieces of tile and look what happens. When my husband was in his 20’s he had the opportunity to help her with a few projects. I especially love the planter women she made. 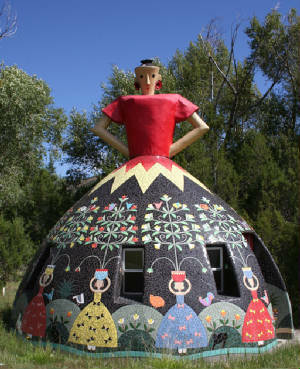 Someday I envision an outdoor bread oven shaped like one of these lovely ladies.